Darjeeling tea is plucked in four “flushes” throughout the season: first flush, second flush, monsoon flush, and autumn flush. 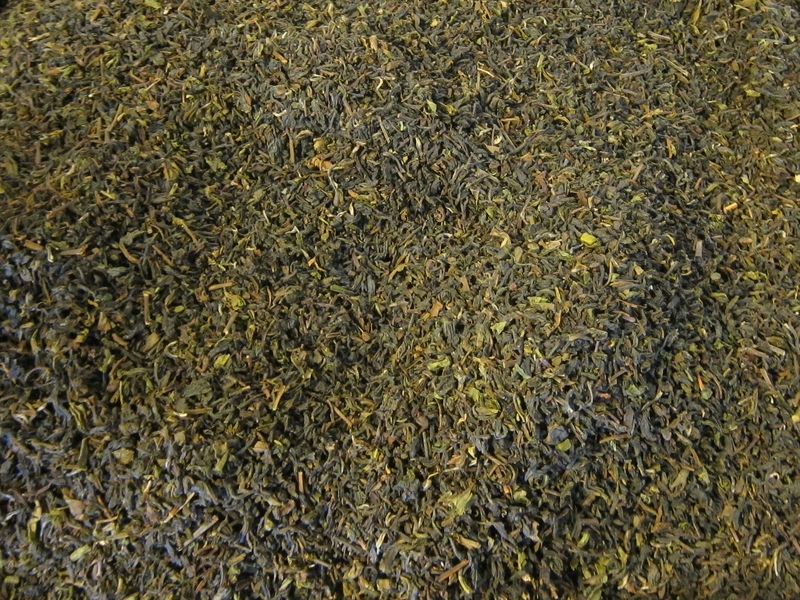 Tea from each flush has its own distinct qualities and flavor profile. 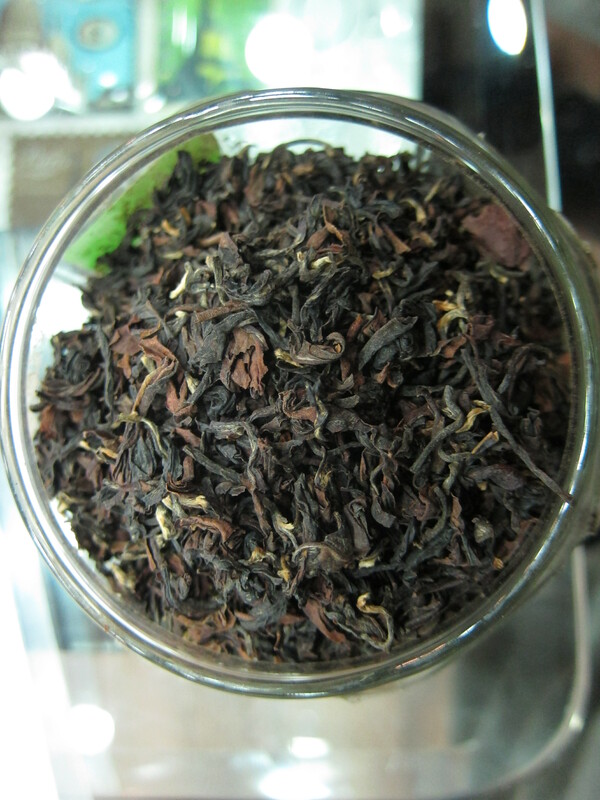 Notably, second flush teas (late spring/early summer) are known for their often prominent, smokey “muscatel” flavor, highly favored by connoisseurs. At Goodricke’s House of Tea. 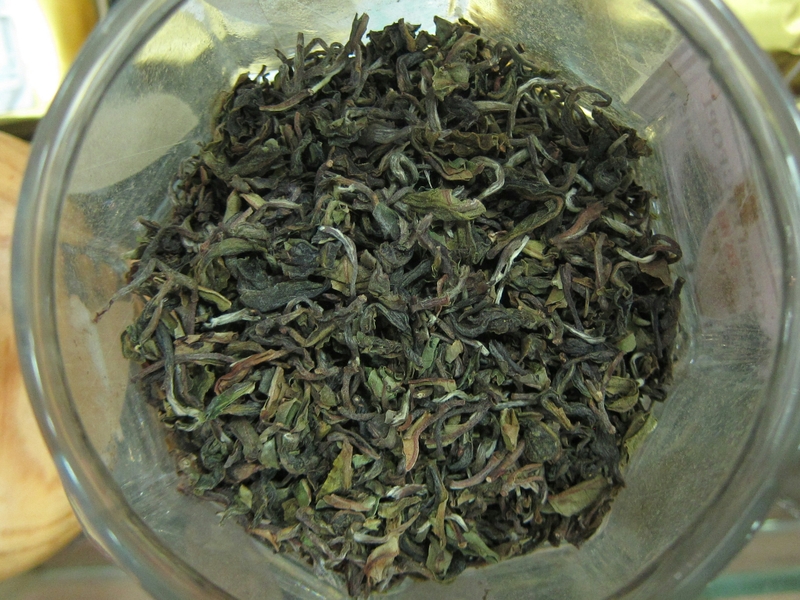 In contrast, first flush tea, from the first pluck of the season during March and April, is delicate, with a light body and liquor. Many of the first flush black teas I’ve tried have had a vegetal taste reminiscent of green tea, and some even have had flowery notes like some Taiwanese oolongs. 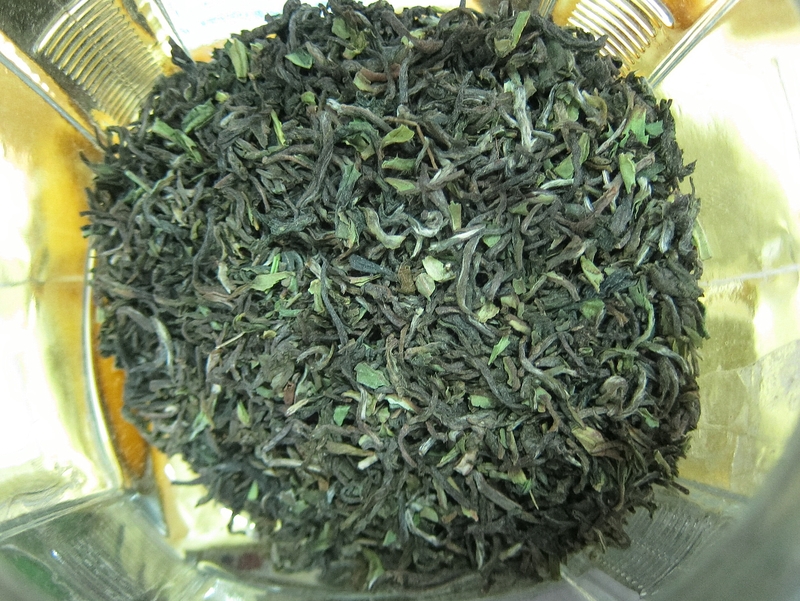 Goomtee Estate’s “Spring Exotica” first flush black tea. Almost every restaurant listed Darjeeling tea on its menu, but I found the quality of restaurant tea varied greatly (Keventers and Glenary’s had good tea). For the best tea I sought out the local tea merchants located on the Mall and Chowrasta (main square) in Darjeeling town. These shops offer tastings for customers who want to buy loose leaves to take home, and serve cups and pots of tea to those who just want to sip tea in the shop. 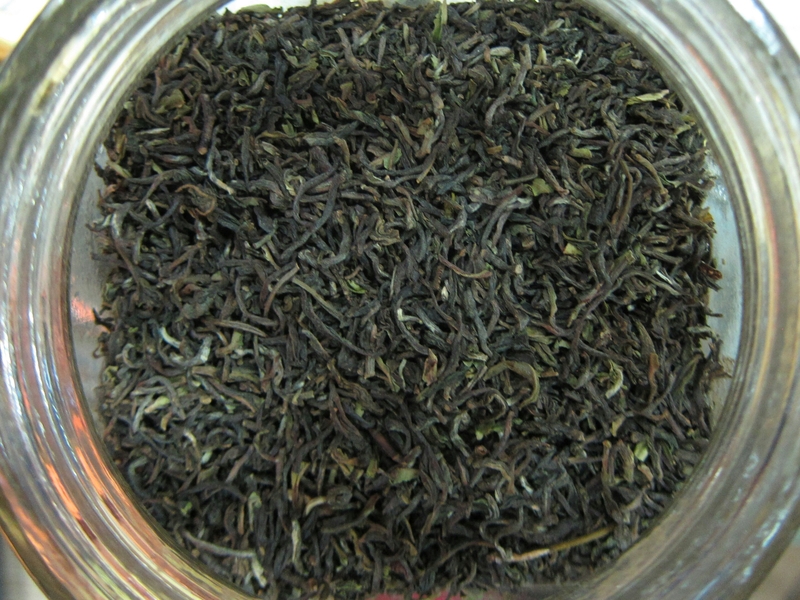 Gopaldhara Estate’s “Emperor” second flush black tea. In the last few weeks I’ve sampled around fifteen to twenty different teas, most of them from last season (2015). During the last few days the shops have begun receiving deliveries of this year’s first flush tea, and I’ve tried four of them so far. 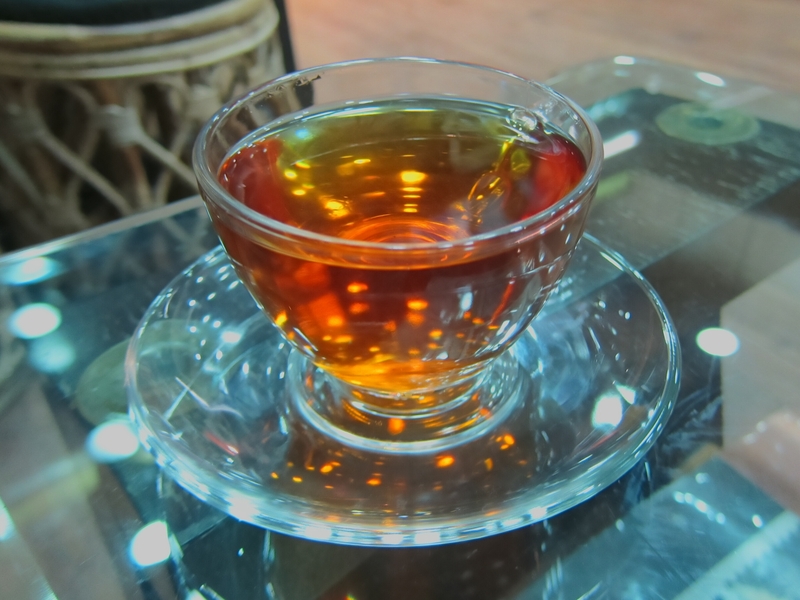 At the Goodricke’s franchise, House of Tea, I had a white tea from the Badamtam estate; at a few other shops I tasted black teas, from Glenburn, Avongrove and Mim estates. 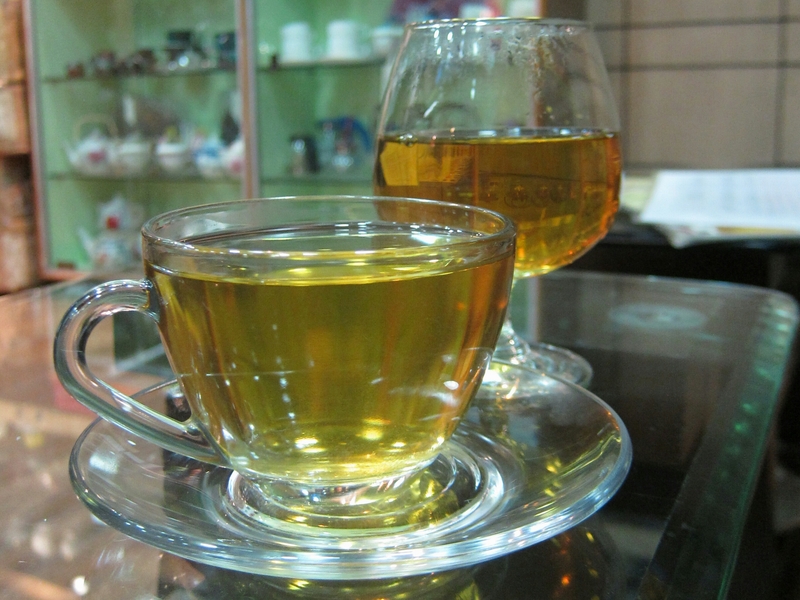 I liked all four, but the white tea was especially good (and the most expensive, at nearly $300 per kg!). A tray of tea at Nathmull’s, waiting to be packed. Professional tea tasters have many terms to describe the flavor profile of a tea, including words like: astringent, malty, muscatel, flowery, smokey, tippy, etc. I haven’t a clue what many of the terms really mean, but as I drink more tea, I’m hoping that my palate will continue to develop. Frequently I’m able to recognize unique flavors present in a tea, and those flavors often remind me of something familiar to me (e.g. some green teas have called to mind “coconuts” or “brussels sprouts,” and some puerhs have indeed been “earthy”). Pussimbing Estate “certified bio-organic” first flush tea. 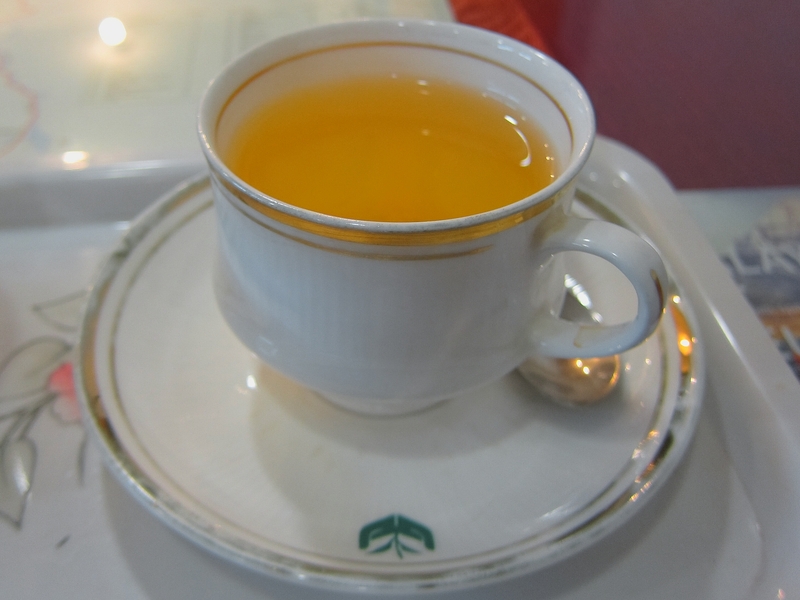 Rohini Estate first flush tea. Trying the Pussimbing and Rohini teas together, for comparison. As my taste buds are being triggered, however, much of the time my neurons are left scrambling and I’m unable to recall the actual name of the familiar taste. It’s a good thing that tea tasting is not my livelihood! Anyway, I’ll let the connoisseurs come up with the descriptions, and I will enjoy the zen of tea. Brussels sprouts tea . . . hmm . . .